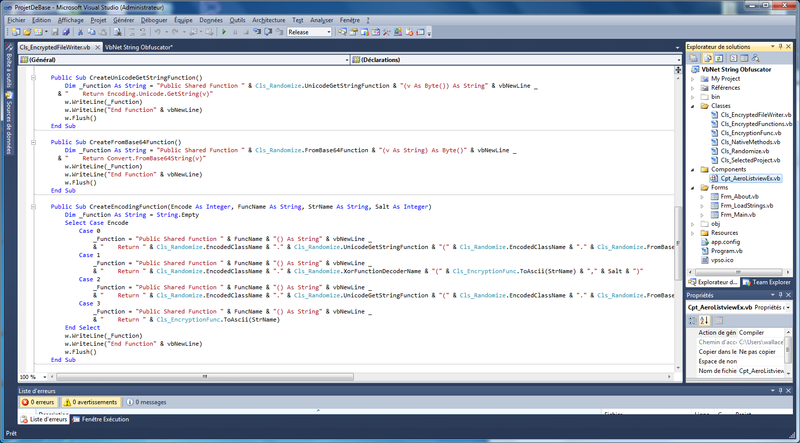 This utility allows you to obfuscate 'Strings type' into a VBNET (*.vbproj) or CSHARP project. This generates junk code and functions throughout your loaded project. --> Selecting encryption method (Base64, Xor, and Both) with Ascii string conversion. --> Displays a progress windows when loading and searching the String type occurences throughout the selected file. This post was last modified: 11-06-2016, 06:20 AM by sh@rp. I haven't ventured into this type of programming / security path before, but it looks like you've done a nice job! (09-17-2013, 02:12 AM)KoBE Wrote: I haven't ventured into this type of programming / security path before, but it looks like you've done a nice job! Regex helped me a lot and especially the "MatchEvaluator" delegate. The software will undergo a major update allowing it to take over the CSharp projects! Eventually it will change its name: DotNet String Obfuscator. This post was last modified: 10-12-2013, 09:53 AM by sh@rp. This post was last modified: 10-13-2013, 04:33 PM by sh@rp. Coming soon : multilingual support. This post was last modified: 10-19-2013, 07:02 AM by sh@rp. How did you decide to implement the multi-language support? Language files? (10-21-2013, 05:11 PM)KoBE Wrote: How did you decide to implement the multi-language support? Language files? 2 - I replaced all French character string to English "(Me.Text =" ", CbxSelectLang.ToolTipText =" ", ... etc ...)." 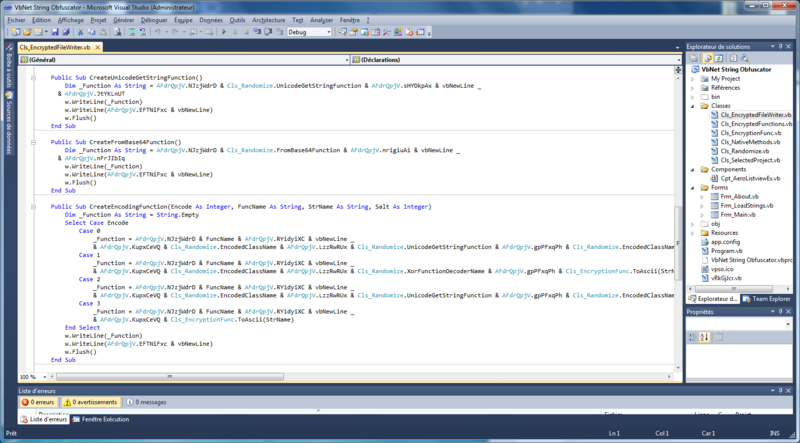 And I made ​​changes throughout my code to point to the right culture when the user decides. 3 - These operations generate two directories for each culture (FR and and EN) where this type of file "%AssemblyName%.Resources.dll" is created. 4 - I renamed these two files and I built as a resource in my project. These two files are extracted in the two respective directories when my application loads. I found another way by googling but I haven't managed to make it work ! !